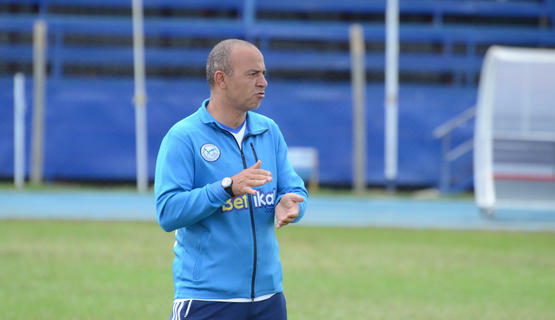 Despite making a winning start to his career as Sofapaka head coach, Melis Medo says he is far from convinced by his side’s display and has asked for an improvement in the subsequent games. Batoto ba Mungu started their season with a 2-1 win over Mount Kenya United but Medo was nowhere close to impressed with the display form his charges. “I am not happy with that win and infact I should consider that a draw. I have a lot of reservations about that game because we created so many opportunities but we couldn’t finish. Thing is we created, pressed, accelerated, but we just couldn’t capitalize inside box,” the disappointed tactician said. John Avire and Stephen Waruru scored in either half while Mount Kenya’s consolation was scored by Amani Kyatta from the penalty spot. Sofapaka should have easily won the game by a more comfortable margin but they lost several good chances to score. Apart from the finishing, Medo was also disappointed with the defense which he says has to improve. “We need to work a bit on our defense with a few mistakes here and there especially with the decision making. The goal we conceded was as a result of split-second decision making,” the coach noted. Meanwhile the team will miss the services of Ugandan striker Umaru Kassumba for the next four weeks with the forward ruled out with a hamstring injury while left back Yussuf Mohammed will miss two weeks of action with a shoulder injury.